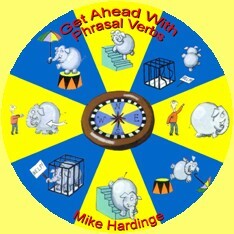 The unique picture compass system, animated pictures, audio, exercises and tests for interactive self-study or classroom use help students at Intermediate level (B1) and above to remember hundreds of phrasal verbs and their particles. Get the CD directly from the author. "Los ejercicios son muy buenos. Gracias por compartirlos!" Mariangeles R.